The new comprehensive World Atlas of Artificial Night Sky Brightness has just appeared in Science Advances. Written by a group of distinguished scientists lead by Italian Fabio Falchi, it is a noteworthy accomplishment. The first atlas appeared in 2001 but was based on a less precise satellite measurement system. This latest atlas provides far more clarity. The atlas measures what is called artificial sky glow - reflected light scatter in the atmosphere from the electric lighting below - across the world. Sky glow results from light pollution, or the excess of electric light during the night. But 'light pollution' is not like 'water pollution' which is pollution of water. It’s actually 'night pollution by electric light'. 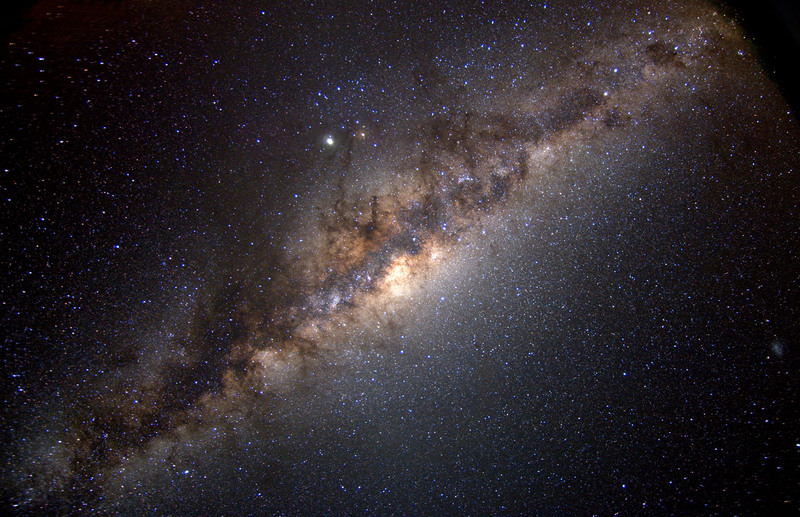 As one measure of how far we have come in obliterating the night sky, Falchi and colleagues estimate that, thanks to sky glow, the Milky Way is no longer visible to one-third of humanity, with the most heavily industrialised regions suffering the greatest loss: 60 percent of Europeans and 80 percent of North Americans can no longer see the Milky Way at night. The atlas uses light measurements taken by the Suomi National Polar-orbiting Partnership satellite, which orbits 800 kilometres (497 miles) above Earth and takes pictures of the ground below at night. The satellite can sense the intensity of any light source it detects and plot its location. These measurements are then converted by some sophisticated modelling to produce colourful maps of each region of the world that show the level of sky glow over cities, towns, and adjacent countrysides. In fact, as Falchi and colleagues note, "…the most light-polluted country is Singapore, where the entire population lives under skies so bright that the eye cannot fully dark-adapt to night vision". In the most affected regions of the megacities in Europe, the Americas and Asia, the local light levels outside on the street are at times enough to prevent or delay transition to our normal nighttime physiology which should begin at about sunset. The health effects of these local light sources at night, and the sky glow they cause, are the subject of intense research, and have not yet been fully calculated. Developing societies are also embracing electric lighting of the night, and light pollution is expanding its domain at an epidemic rate. I must emphasise that this represents a huge change in the environment. This circadian physiology has developed over billions of years. Humans have been living with electricity only since the late 19th century, and with widespread access in industrialised countries only since the 20th century. While that sounds like a long time, it’s tiny drop in the evolutionary bucket. We are only beginning to understand the health consequences artificial light has on our circadian physiology. This knowledge is now being exploited to produce light sources that are appropriate for time of day. At the most basic, best is bright light with high blue content (e.g., compact fluorescent) in the morning and dim light with low blue content (e.g., low wattage incandescent) beginning at dusk. And turn off the bright blue screens of tablets and smartphones; read an actual book in the evening. One of many implications of this work is the engineering of street lighting. The wholesale conversion to 'white' LED street lighting by many communities such as Los Angeles and New York is coming under increasing scrutiny because that lighting produces the blue wavelengths that are least friendly to our nighttime physiology and circadian health. Richard G. 'Bugs' Stevens, Professor, School of Medicine, University of Connecticut.